There’s a lot to love about fall in the Applegate Valley. Though this week’s rain might have brought down some of those incredible fiery red and brilliant yellow leaves, there’s still plenty of colorful foliage on our trees. Not to mention how richly green and lush the valley is now that it’s had some good fall precipitation. The Applegate River is full and and rushing toward its meeting with the Rogue a few miles west of Grants Pass. Grapes have been harvested in the Applegate Valley, and the 2017 vintage has moved from field to fermentation. And that means it’s time for the Fall Uncorked event. This local-favorite, semi-annual event is one of the best ways to experience all the Applegate Valley Wine Trail offers. A single ticket gives you access to 18 wineries; you just choose your starting location and go from there. Visit as many or as few as you like. Pick your can’t-miss favorites or select some gotta-try new wineries. Whatever you choose, plan to taste some great wines, stock up on some bottles for the holidays, and expand your wine knowledge at an event where you can meet, greet, and learn from the expert winemakers and proprietors that have carved out our reputation for producing extraordinary wines. At Rosella’s Winery on Missouri Flat Rd., you’ll find barrel samples of their 2016 Zinfandel, and they’ll offer a pairing of their Manu Aloha, an approachable blend of Malbec/Cabernet Sauvignon/Merlot with Hearty Beef Chili and Cornbread from Dancing Cats Catering. They’ll have a variety of vendors and local artists, including a photo booth from Photo Expressions, Bandit Boutique with unique holiday gifts and original paintings, 3 Peaks Custom Jewelry, and Climate City Brewing will offer their Nookie IPA. Longsword Vineyard on Highway 238 will be pouring their 2016 Syrah/Zinfandel blend “Mêlée” and pairing it with roasted turkey with a berry reduction sauce. And they’re offering a barrel tasting will be their 2016 Dolcetto. 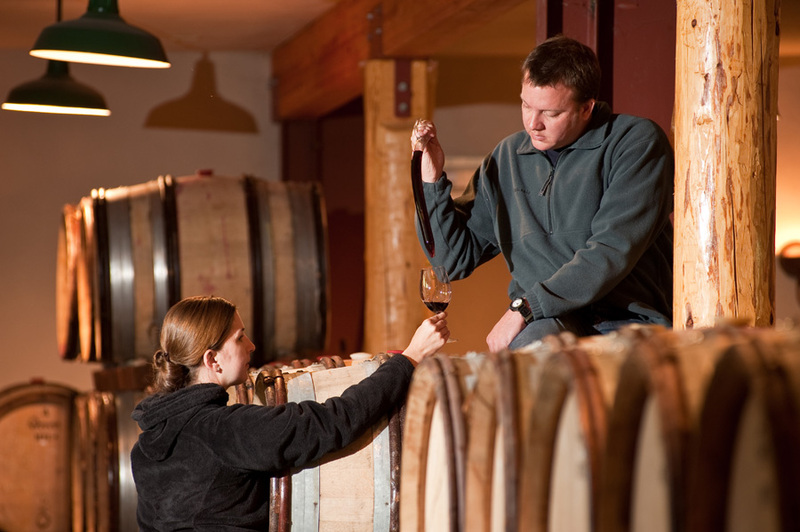 At Wooldridge Creek on Slagel Creek Road, they’ll have barrel tasting of their 2016 Pinot Noir. Paired with Roasted Squash Soup with fresh herbs, house-made fromage blanc, and duck prosciutto. Their featured wine is a 2016 Sparkling Zinfandel Cider. For more information on the event, go here. Get your tickets now!